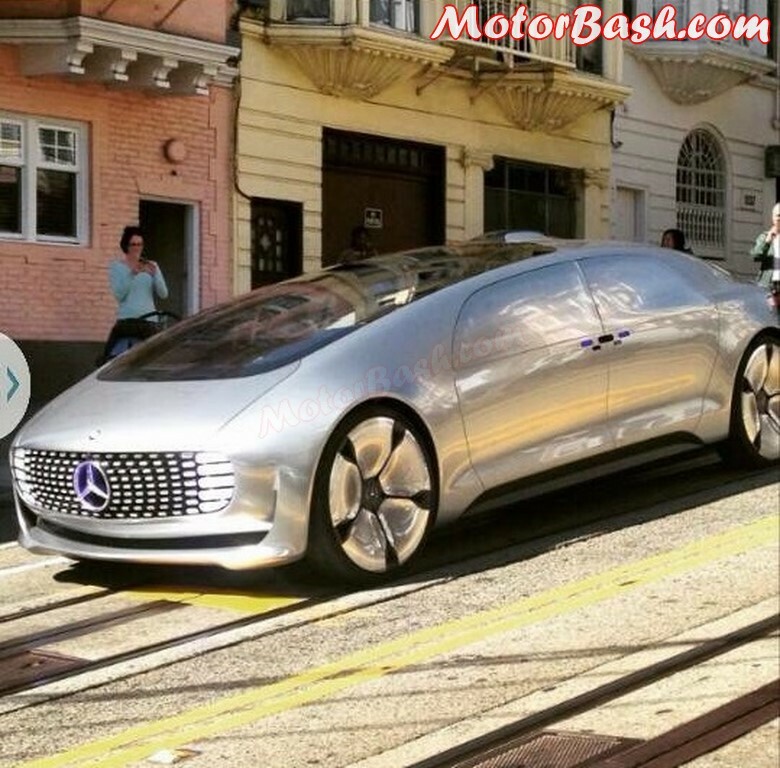 One of our friend from San Francisco has sent us this picture of the Mercedes Benz F 015 Luxury in Motion research car from the city of the Golden Gate. The F 015 is a revolutionary take on cars, produced after years of hard work. An autonomous driving electric car which claims to run 1,100 km with zero carbon footprint! Now that’s something. The car runs around 200 km on batteries and then 900 km on electricity produced from the fuel cell. Also what you get is a pat on the back from the good folks at Greenpeace and Oxfam. An elongated body shaped like a capsule is 5,520 mm long, 2,018 mm wide and 1,524 mm in overall height! 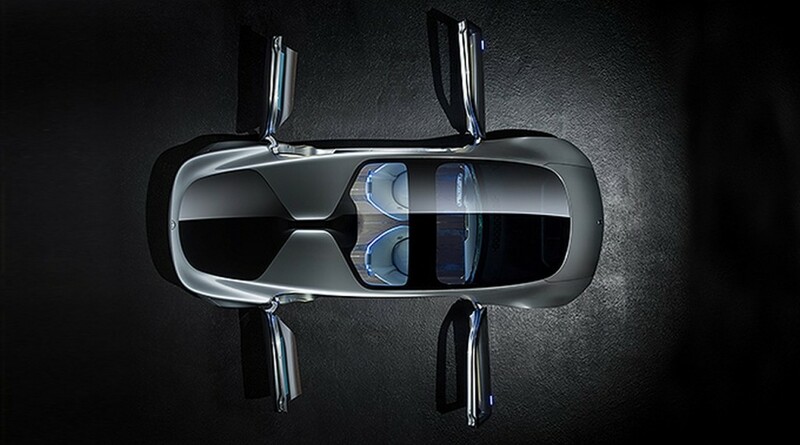 The single panel of glass is a combination of a long windshield and sunroof and makes the whole car look space age. The massive 26 inch wheels are located towards the edges of the body for maximum interior space. The pedestal seats for passengers can rotate 30 degrees when those carriage styled doors are opened. 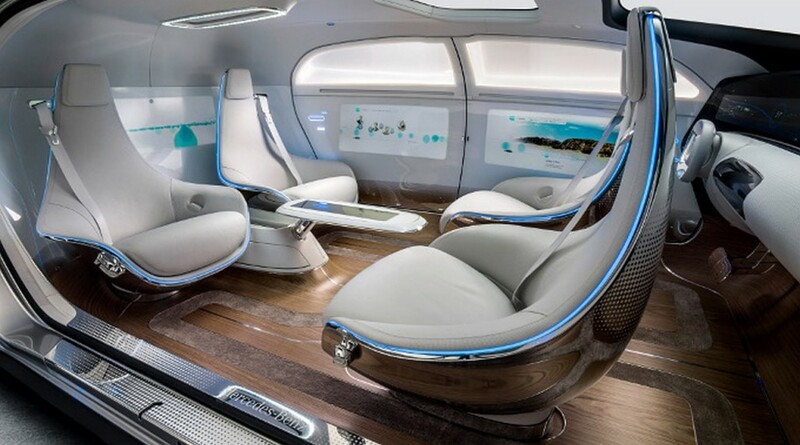 The car aims to keep the passengers connected to the outside world. It gets six high resolution touch screen displays integrated into the instrument panel and the rear and side panels to navigate, control the car and see outside the car. When in auto pilot mode, the LED lights on the front can project the image of a crosswalk so that people know it is safe to cross!!! The LEDs outside glow blue when in autonomous mode and white in manual mode. Since there is little driving involved all four seats can face each other and allow the passengers to work. This is not the first time Mercedes has tried its hand on a self-drive car. Back in August 2013 the company used a close to production S 500 Intelligent Drive to drive autonomously for 100km! But the big questin is what is the F 015 doing on the streets of San Francisco? Is the company testing it on real world streets or has it gone rogue and is on the way to become the Skynet?